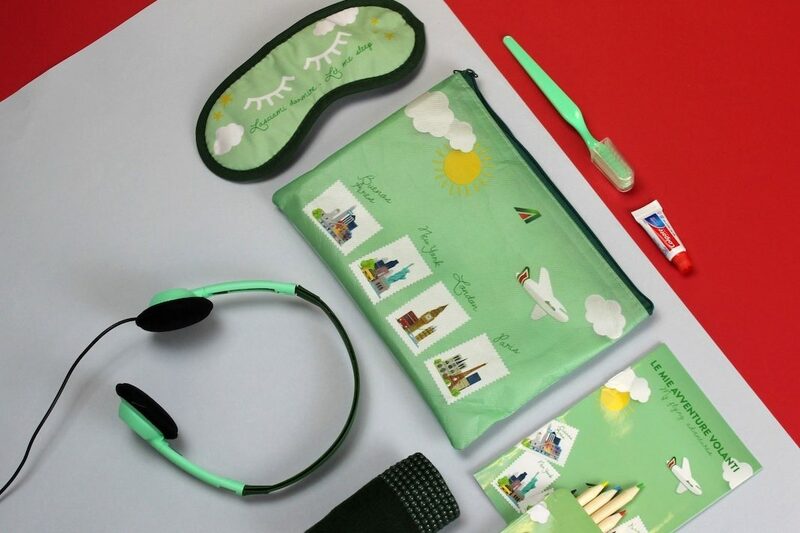 Alitalia and Bayart Innovations have launched a new children’s activity kit. Even the smaller travelers deserve the best. 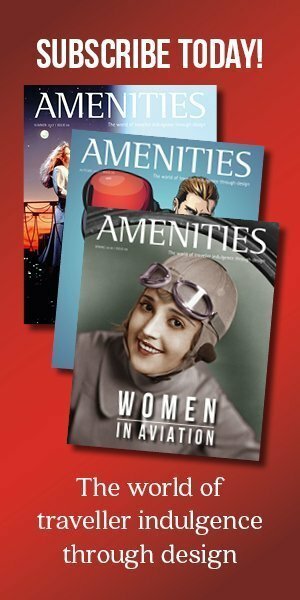 The kit has been created to make their flights full of fun and comfort. Shaped as a postcard, the kit has a strong focus on entertainment. 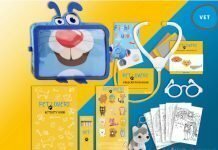 It contains a booklet, full of activity and games, a colouring set and a set of headphones. 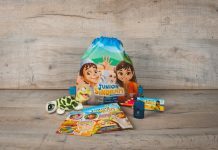 For comfort, the kit contains an eye mask which is reversible with the two following sentences: “wake me up” and “let me sleep”, a pair of washable and reusable grippy socks and a toothbrush set. 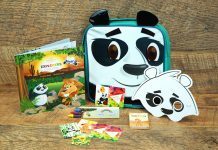 Once landed, the kit will become a reminder of a great travel experience and can be used at school as a pencil case and ruing the children’s spare time to hold their personal items.